Industrial fuses are required to protect cables. Only a determined amount of current can flow through a cable. If the current exceeds this amount, the industrial fuse serves as protection device to prevent dangerous situations like fire. 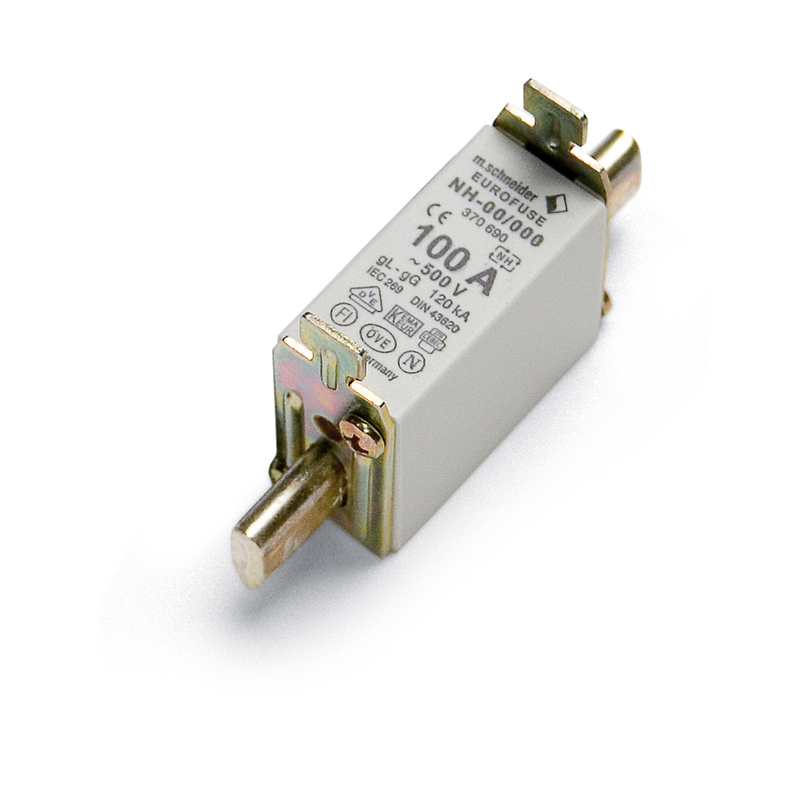 DIN stands for 'Deutsche Industrie Norm' whereby the 00 series can handle up to 160 A and the 1 series up to 250 A.